The number of people employed in Australia's mining sector surged by 65% during the five-year period from 2006 – 2011. The Herald Sun reports that fresh census figures from the Australian Bureau of Statistics indicate the mining industry accounted for 1.8% of the nation's total employment in 2011, up 65.2% compared to 1.2% in 2006. The percentage increase translates into an additional 69,667 individuals employed in the Australian mining industry. 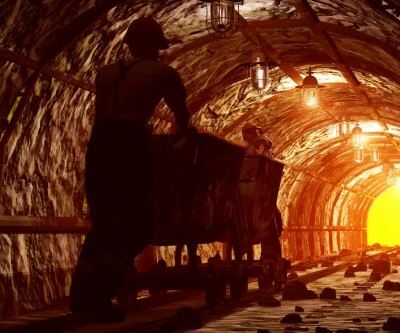 The ABS further reports that the most of the Australian mining industry's top 20 employment spots are situated in the big, resource-rich states of Western Australia and Queensland, with Perth and the East Pilbara employing 14,687 people and 7,536 people in the sector respectively. Queensland's Broadsound-Nebo region ranked third as a mining employer, with 6,236 personnel. The Australian mining boom, ushered in by China's rapid economic ascent since the turn of the century, has made the antipodean nation one of few OECD economies to successfully weather the Great Financial Crisis and the general decline of first world manufacturing. The key contribution of the mining sector to the Australian economy is demonstrated by the preponderance of mining towns on a recent list of the country's wealthiest post codes.